This was taken a few years ago in downtown Toronto. When I came upon this scene the title for the picture immediately came to mind and I grabbed this shot. Yes - a great shot Robert. Well seen and presented - I like the way you have focussed on the chair, and left the man's face slightly out of focus to preserve his diginity. 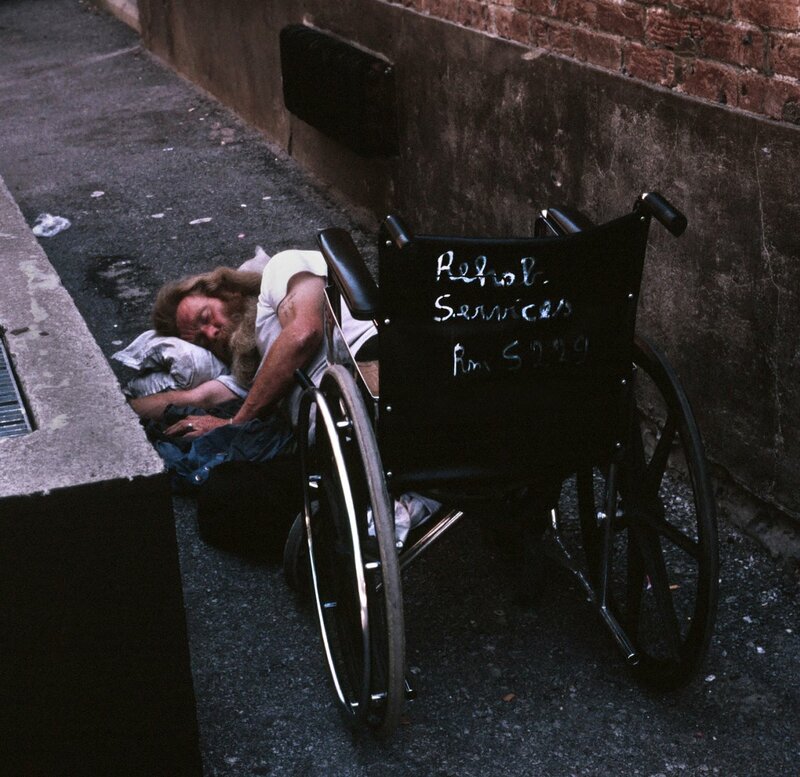 It must be tough to be physically disabled and living on the street. Yes, living on the street is difficult enough for able-bodies folks, and any disabilities whether mental or physical make it even that much more challenging.